We bring you Furballs, they aren’t just the cute bundles of fluff that we keep at home as a pet cat or dog! No, these guys are something else altogether! Critters that come in every colour of the rainbow to brighten the day and make all the player’s cares go away. Set in a charming countryside environment amongst green fields and sweet picket fences, this is a 5 reel new jackpot slot game that will never stop delighting and surprising as the player presses on to win big with their furry companions championing them all the way as you try new play slots at Slotsbaby today! Pariplay is the makers of online games and systems loved by gamers and online casino operators alike. Based in the Isle of Man, the company has established a reputation for creating original and engaging titles with trademark colourful and fun graphics. The team are keen to stay at the forefront of developments in the online casino industry in order to ensure their innovations are industry leading in this fast-paced and dynamic market. Other titles by Pariplay include Atari Pong, Jack in the Box, Sharknado and Las Cucas Locas. The player is led through the game by 5 little furballs, who appear right from the very start of play. Roland, Boomer, Anita, Frosty Sparky and Wiggy. The 5 cute characters guide the player on this 5 reel slot, and are part of the game itself, as they are symbols that can be matched up. As well as matching up the furballs, gamers will be familiar with the high card symbols of 10, J, Q, K and A. These give potential prizes too, which is no surprise considering the game has a Return to Player ratio of more than 95%. Furballs features 25 win lines, while bonus features of wilds and scatters make the game come alive and offer the player more chances to win with Furballs. Wilds – Look out for these! Wilds replace all other symbols on the reel, with the exception of scatters. 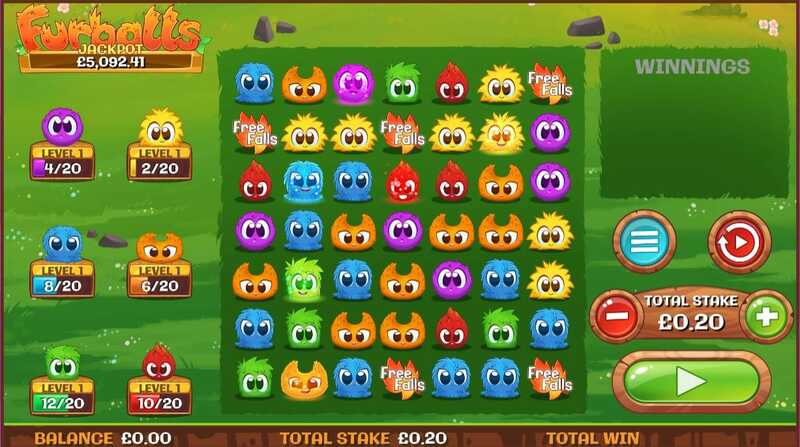 Scatters – Free Falls Leaf Scatters yield big chances to win! 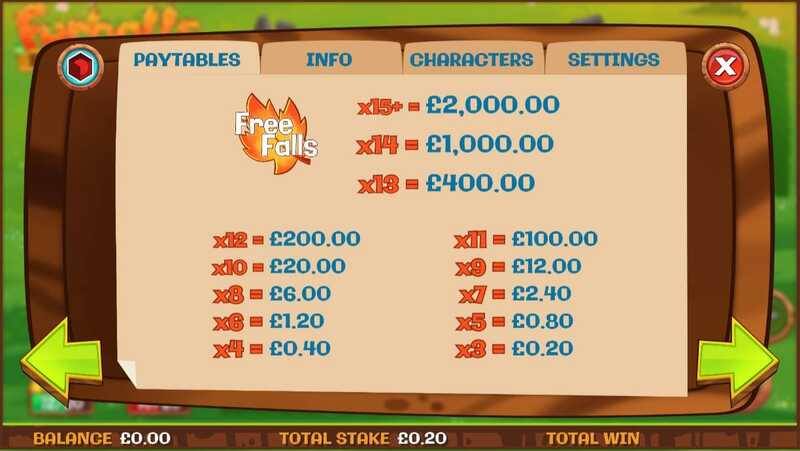 When 15 or more of them appear on reels they trigger free spins and a 10,000x multiplier to add to a players winnings. Bonus Game – Free the Furballs! Sometimes, a player will see on the reel a furball locked in a cage. If 3 of these appear on the reels simultaneously, then it triggers the Free the Furballs bonus game. The goal of the bonus feature is to open as many cages as possible. Each cage opens adds to the win multipliers.